As traffic intensity increases, network elements (including switches and transmission) can impart various impairments such as errors, excessive delay, congestion, blocking, loss, and degraded quality. Simulating traffic can be valuable to characterize the impairment as a function of traffic intensity and traffic types (e.g. Voice, Fax, Data, & Video). 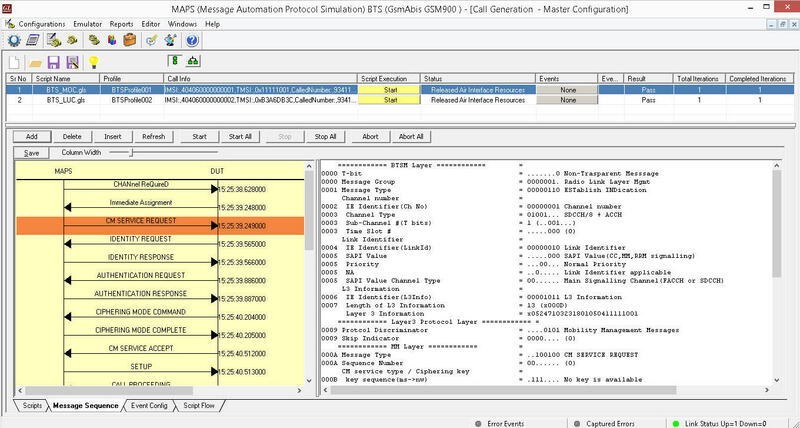 Message Automation and Protocol Simulation (MAPS™) is a multi-protocol, multi-technology platform used for signaling and traffic generation for a vast array of communication protocols covering IP, Analog, TDM, and Wireless networks. MAPS™ can be used to test legacy networks (which use conventional signaling such as CAS, SS7, ISDN, PPP,…), newer generation IP networks (such as SIP, MGCP, MEGACO, SIGTRAN, Diameter…), and also the Wireless networks (which use GSM, UMTS, LTE and Diameter signalling). With MAPS™ Client-Server application, MAPS™ supports a Command Line Interface (CLI) such as the TCL, Python, VBScript, Java, and .Net scripting tools, to provide the capability of remote operation, automation, and multi-site connectivity. User can remotely perform all functions such as start testbed setup, load scripts and profiles, apply user events such as send digits/file/tones, detect digits/file/tones, dial, originate call, terminate call, start and stop traffic and so on. GL’s MAPS™ HD is a High Density 1U network appliance that is capable of high call intensity (hundreds of calls/sec) and high volume of sustained calls (tens of thousands of simultaneous calls/1U platform) for a vast array of communication protocols covering IP and Wireless networks. MAPS™ HD network appliance is designed to easily achieve up to 20,000 endpoints per appliance (5000 per port). This requires GL’s RTP HD traffic generation capability (PKS109) and specialized 1U rack system with integrated HD NIC ( w/ 4x 1 GigE. Or 2x 10 GigE). For more details, visit Signaling and Traffic Simulator webpage. Ability to push / pull Short Messages over the network as if sent by thousands of mobile phones (Short Message Mobile Originated (SMS-MO)). MAPS™ can also transmit a Short Message to a mobile phone (Short Message Mobile Terminated (SMS-MT)). 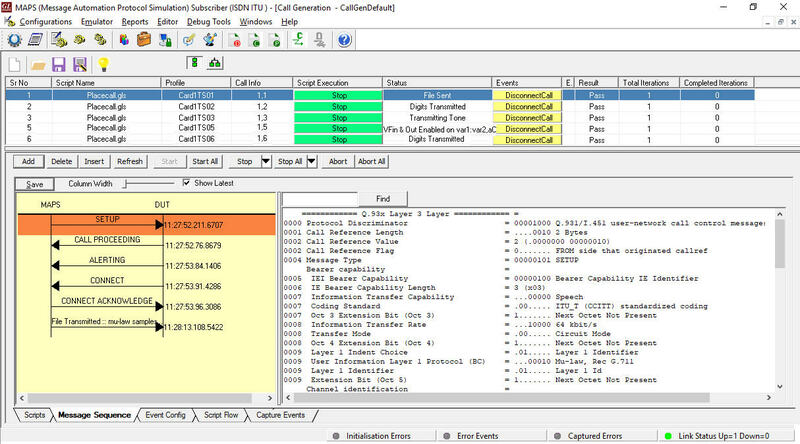 For GSM, TRAU (Transcoder Rate Adapter Unit) traffic simulation (xx646) is included with options to create, monitor, and terminate TRAU GSM traffic sessions supporting transmit/receive DTMF digits, files, and tones over established GSM calls. TRAU traffic simulation is applicable for MAPS™ GSM Abis application only. This feature is supported in MAPS™ GSM A over IP, MAPS™ MAP, and MAPS™ UMTS IuCS & IuH applications. 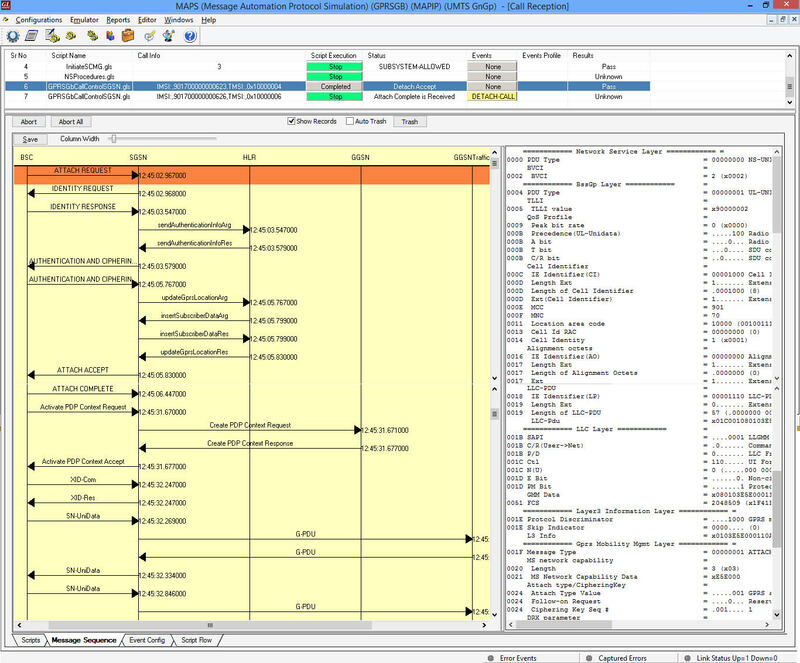 MAPS™provides a unique architecture for multi-interface, multi-protocol simulation, which make it suitable for testing any core network, access network and inter-operability functions. VQuad™ Probe HDis an all-in-one self-contained hardware supporting multiple physical interfaces for connecting to practically any end point in wired or wireless network while automatically performing end-to-end voice and data testing over any network. Using ready-to-use scripting with these products it is possible to automate the IVR testing process. 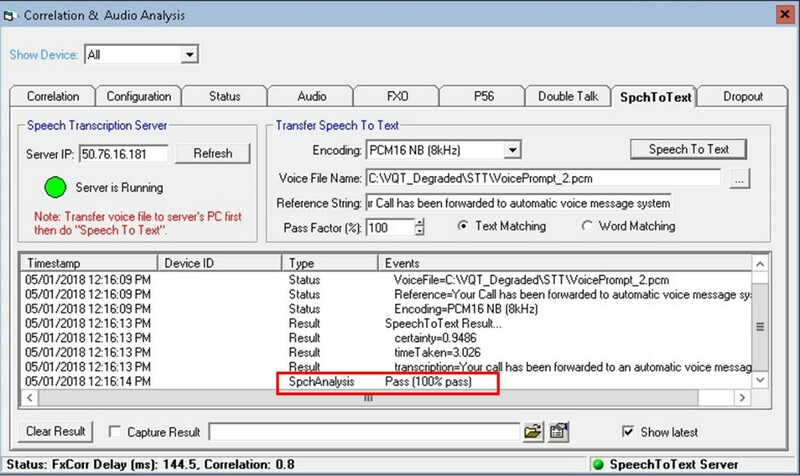 GL's IVR test platforms can detect user-defined digits, send DTMF digits in response to voice prompts, tones, and play/record voice files, perform speech-to-text transcription, and analyze transcribed text for correctness, using a simple setup and automate the whole process through scripts. GTP Traffic Simulation modules within MAPS™ supports user-plane traffic simulation in LTE, UMTS, and GPRS networks. GTP, or GPRS Tunnelling Protocol are the methods for sending IP traffic in Wireless Networks such as GPRS, UMTS, and LTE. 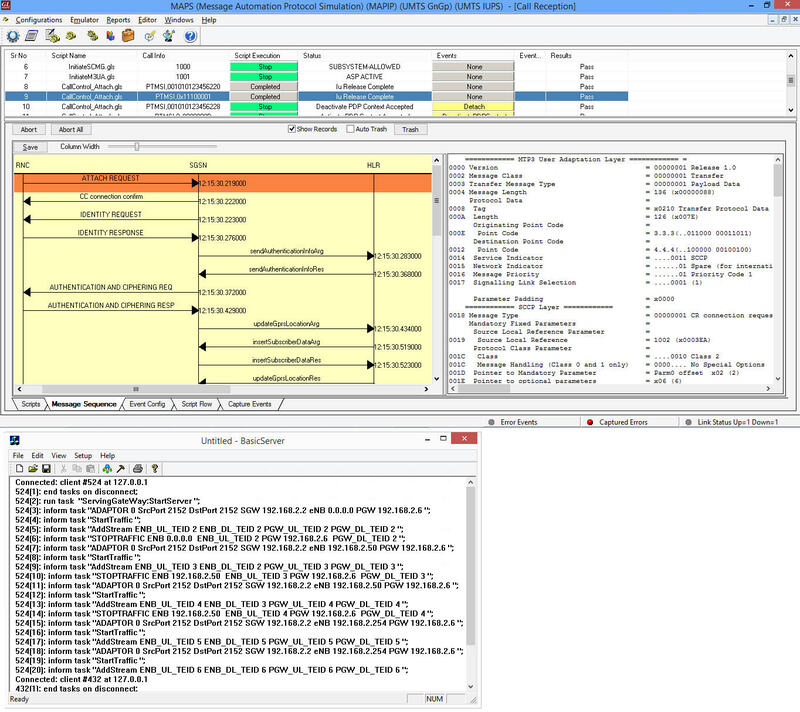 GTP traffic is identified by a Tunnel ID with multiple HTTP connections. 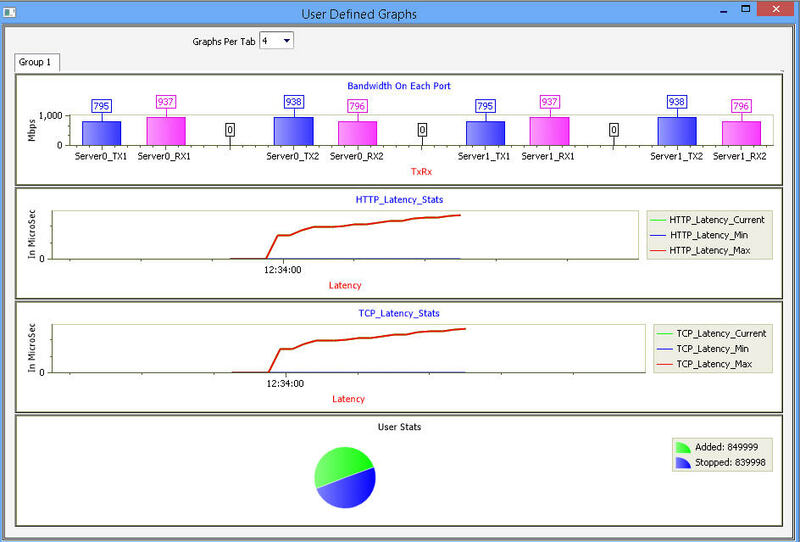 GL now offers an End-to-End Simulation of a Wireless Network, including user equipment access to HTTP services via network elements, with all components such as Base Station, RF channel, and GPRS core elements (SGSN / Signaling Gateway, GGSN / PDN Gateway), combined with mobile gateway traffic emulation. The solution includes Mobile IP traffic (ETH101 / PacketLoad), Packet traffic (BERT, Hex String, and HDL File) and Mobile Gateway traffic (ETH102) types of traffic simulation. These modules also support generation and verification of data traffic such as Email, FTP, Web (HTTP), Video, and more. The below diagram depicts the GL’s MAPS™ platform’s capability in generating user plane traffic with different modules. GTP Mobile Traffic Simulation is supported in MAPS™ LTE S1, MAPS™ LTE eGTP, MAPS™ UMTS Gn Gp, MAPS™ IuPS, MAPS™ UMTS IuH, MAPS™ GSM Abis IP, MAPS™ GSM A IP, and MAPS™ GPRS Gb applications only. This module is used for stateless end-to-end data verification by generate IP traffic and verify the same at the other end over GTP (GPRS Tunneling Protocol). 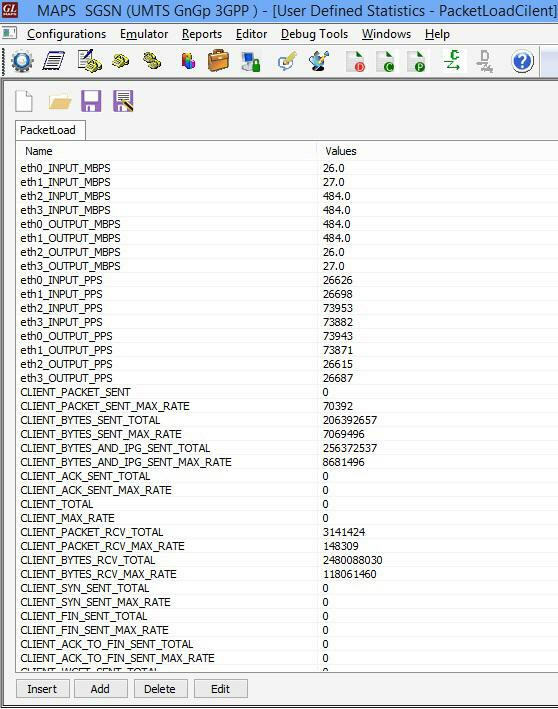 The IP traffic can be generated as Sequence Number, Hex string, BER patterns, or playback captured Ethernet traffic (*.HDL) files. Module supports stateful user-plane packet transmission and reception services between any two nodes (GTP-U protocol entity) in UMTS (SGSN, GGSN, RNC), and LTE (SGW, PDNGW) networks. 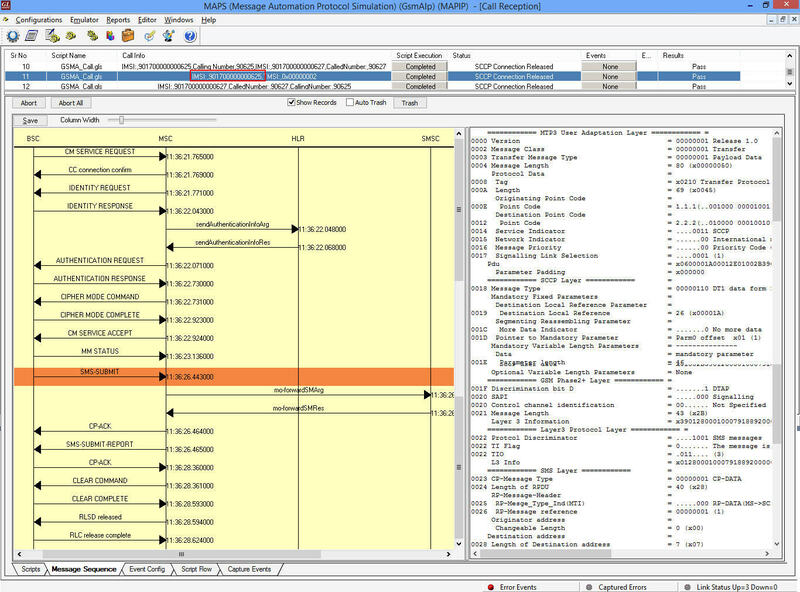 It allows simultaneous simulation of multiple sessions per user. Currently, supports HTTP traffic simulation with the base requirements such as port number, server IP address, and pre-canned HTTP traffic file. Each GTP traffic is identified by a Tunnel ID, UDP port (2152 is default for GTP-U traffic), and the multiple HTTP connections are differentiated by Connection ID. The Mobile Traffic Core-GTP (ETH101) module can also support generation and verification of data traffic such as Email, FTP, HTTP, and more. Mobile Traffic Simulation - GPRS Gb Module allows simulation of Mobile traffic over Gb interface between BSC and SGSN. Currently, this module transmits the pre-canned HTTP file (*.txt) between BSC and SGSN nodes. It multiplexes both signaling and traffic over Gb interface. This module is supported in MAPS™ GPRS Gb. In addition to the GUI, all the traffic simulation action within MAPS™ can be automated and controlled remotely through a Command Line Interface (CLI). All of the GUI based functionalities are available in CLI. Supported clients include C++, TCL, Python and others. Traffic simulation on a local network as well as from a remote location is possible with the client interface.